America’s Alleged Commitment to “Denuclearization” of the Korean Peninsula. During the Cold War, the United States deployed nuclear weapons in South Korea continuously for 33 years, from 1958 to 1991. The South Korean-based nuclear arsenal peaked at an all-time high of approximately 950 warheads in 1967. Since the last US nuclear weapons were withdrawn from South Korea in 1991, the United States has protected South Korea and Japan under a “nuclear umbrella” using nuclear bombers and submarines based elsewhere. While defense hawks in Seoul and Washington have, in 2017, called for the United States to redeploy tactical nuclear weapons to South Korea, the authors argue against this idea. Doing so, they say, would provide no resolution of the crisis over North Korea’s nuclear weapons and would likely increase nuclear risks. Redeployment would also have serious implications for broader regional issues because it would likely be seen by China and Russia as further undermining their security. North Korea’s six nuclear tests and progress developing a missile force have triggered calls for the United States to redeploy tactical nuclear weapons – sometimes known as “battlefield” or “theater” nuclear weapons – to South Korea. While we have heard such calls before, they are getting louder as the Trump administration nears completion of its Nuclear Posture Review. They come from defense hawks in both Washington and Seoul. Proponents of redeploying tactical nuclear weapons to South Korea appear to believe that doing so would better deter Pyongyang and reassure Seoul. However, deterrence and reassurance are complicated and constantly shifting goals. They do not necessarily function predictably or follow logic. As such, the way Washington practices nuclear deterrence and reassurance on the Korean Peninsula has changed significantly over the years. It would be misguided – potentially even catastrophic – to apply lessons from the past to the present or future. During the Cold War, the United States deployed nuclear weapons in South Korea continuously for 33 years, from January 1958 to December 1991. It did so to deter aggression from North Korea (which did not yet have nuclear weapons) and to some extent also from Russia and China. In fact, the Korean War, which lasted from 1950 to 1953, served as a catalyst for the initial release of US nuclear weapons from the custody of the civilian Atomic Energy Commission to the armed forces for potential use in a conflict (Defense Threat Reduction Agency 1998 Defense Threat Reduction Agency. 1998. “Defense Special Weapons Agency 1947–1997.” [Google Scholar], 7–8). The first US nuclear weapons in South Korea arrived four-and-a-half years after the Korean War ended and four years after forward deployment of nuclear weapons began in Europe. Over the years, the numbers and types deployed in South Korea changed frequently. At one point in the mid-to-late 1960s, as many as eight different types were deployed at the same time, and the arsenal peaked at an all-time high of approximately 950 nuclear warheads in 1967. Over the following quarter century, the US nuclear arsenal in South Korea gradually declined as weapon systems were withdrawn or retired and conventional capabilities improved. By the early 1980s, the arsenal had shrunk to between 200 and 300 weapons, and it declined to around 100 by 1990. Then on September 27, 1991, in a televised address, President George H.W. Bush announced the US decision to “eliminate its entire worldwide inventory of ground-launched, short-range, that is, theater nuclear weapons.” He went on, “We will bring home and destroy all of our nuclear artillery shells and short-range ballistic missile warheads” (Bush 1991 Bush, G. H. W. 1991. “Address to the Nation on Reducing United States and Soviet Nuclear Weapons.” September 27. Link [Google Scholar]). The initiative was focused on the Soviet Union; South Korea was a side chapter – indeed, Bush did not even mention the South Korean-based weapons in his speech. The nuclear artillery and bombs that remained in South Korea at the time of the address were all withdrawn by December 1991. Since then, the United States has protected South Korea (and Japan) under a nuclear umbrella made up of several types of weapons: dual-capable fighter-bombers and strategic nuclear forces in the form of bombers and submarines.11. The United States also has land-based intercontinental ballistic missiles (ICBMs) that can target North Korea. To reach North Korea, though, these ICBMs would have to overfly Russia and China, so they are thought to be focused on targeting Russia.View all notes Until 1994, US aircraft carriers were also equipped to deliver nuclear bombs, but as noted in the 1994 Nuclear Posture Review, the US government decided at that time to denuclearize all surface ships. The military retained the nuclear Tomahawk Land-Attack Cruise Missile, but stored it on land until retiring it in 2011. The first half of the period during which the United States deployed nuclear weapons in South Korea is documented in a 1978 Defense Department publication, History of the Custody and Deployment of Nuclear Weapons, July 1945 Through December 1977.22. A PDF version of this redacted document is available here.View all notes“South Korea” is redacted from the report’s list of deployment locations, but Nuclear Notebook co-author Robert S. Norris, who obtained a declassified version under the Freedom of Information Act, was able to determine that South Korea is the seventeenth country on the report’s chronological deployment list (Norris, Arkin, and Burr 1999a Norris, R., W. M. Arkin, and W. Burr1999a. “Where They Were.” Bulletin of the Atomic Scientists, November/December, pp. 26–35. doi:10.1080/00963402.1999.11460389. [Taylor & Francis Online], [Web of Science ®], [Google Scholar], 1999b Norris, R., W. M. Arkin, and W. Burr1999b. “‘Appendix B’: Deployments by Country, 1951-1977,” NRDC Nuclear Notebook.” Bulletin of the Atomic Scientists, November/December, pp. 66–67. doi:10.2968/055006019. [Crossref], [Google Scholar]). The second half of the South Korean deployment, from 1978 to 1991, has not been officially declassified, but we have pieced together a variety of sources to form a complete history (see Figure 1). Figure 1. US nuclear weapons in South Korea. The history shows a dramatic nuclearization of the Korean Peninsula shortly after the end of the Korean War. In the first month, January 1958, the United States deployed four (or possibly five) nuclear weapon systems with approximately 150 warheads. The systems included the Honest John surface-to-surface missile, the Atomic-Demolition Munition nuclear landmine, and two nuclear artillery weapons, the 280-millimeter gun and the 8-inch (203-millimeter) howitzer. The Matador cruise missile also appears to have been deployed in 1958, according to a United Nations Command announcement reported by the US Armed Forces publication Pacific Stars and Stripes (“UNC in Korea Gets Matador Missiles” 1958 “UNC in Korea Gets Matador Missiles.” Pacific Stars and Stripes, December 18, 1958, pp. 1–2. For a copy of this article, see this. [Google Scholar]). But for some reason, the weapon is not listed in the Defense Department’s custody report. It is possible that the authors of the custody report made a mistake or that the missile was deployed without warheads. 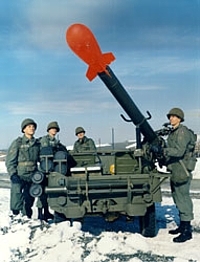 Nuclear bombs for fighter-bombers arrived next, in March 1958, followed by three surface-to-surface missile systems – the Lacrosse, Davy Crockett, and Sergeant – between July 1960 and September 1963. Within five years of the first deployment, the South Korea-based stockpile had ballooned to seven different nuclear weapon systems and 600 warheads in total. The dual-mission Nike Hercules anti-air and surface-to-surface missile arrived in January 1961, and finally, the 155-millimeter howitzer arrived in October 1964. At the peak of this build-up, in 1967, eight weapon systems with a total of 950 nuclear warheads were deployed in South Korea. Four of the weapon types only remained deployed for a few years, while the others stayed for decades. The most enduring of them all was the 8-inch howitzer, the only nuclear weapon system deployed throughout the entire 33-year period. While most of the US nuclear weapons deployed in South Korea played only a regional role due to their relatively limited range, the bombs played a unique role that also included strategic missions. In 1974, for example, the US Air Force strapped nuclear bombs under the wings of four F-4D Phantom jets of the 8th Tactical Fighter Wing parked at the end of the Kunsan Air Base runway (US Pacific Command 1975 US Pacific Command. 1975. “Command History 1974, Camp Smith, Hawaii, Volume 1. Partially Declassified and Obtained under FOIA by Peter Hayes.” Excerpts. Link [Google Scholar], vol. 1, 264–265). The jets were kept in a heightened state of readiness known as Quick Reaction Alert less than 610 miles (1000 kilometers) from Beijing and Shanghai and 550 miles (890 kilometers) from the Soviet Pacific Fleet headquarters at Vladivostok. The 8th Tactical Fighter Wing at Kunsan formed part of a three-base strike force against China together with the 18th Tactical Fighter Wing at Kadena Air Base in Okinawa and the 3rd Tactical Fighter Wing at Clark Air Base in the Philippines. This strike force was part of the Single Integrated Operational Plan (SIOP), the US military’s strategic nuclear war plan. Only Kunsan had aircraft on Quick Reaction Alert at the time, but all three bases had a “major SIOP non-alert role,” according to Pacific Command. The 18th Tactical Fighter Wing SIOP non-alert role is noteworthy because it shows that the United States continued nuclear strike operations from Okinawa after returning the island to Japanese control and removing nuclear weapons in June 1972. The continued SIOP role at Kadena suggests that a diplomatic arrangement likely existed between the United States and Japan to allow deployment of nuclear bombs to Okinawa in a crisis. Meanwhile, in the 1970s, the United States was considering deployments of newer types of tactical nuclear weapons to South Korea. These included the Lance surface-to-surface missile, but apparently only with conventional warheads. The Lance deployment is an interesting example of the trade-off between different weapons’ capabilities. The US Army recommended deploying the Lance to South Korea because it saw Korea “as the most likely area requiring use of ground nuclear weapons” and because building extra storage on Guam would have been expensive (US Pacific Command 1977 US Pacific Command. 1977. “Command History 1976, Camp Smith, Hawaii, Volume 1. Partially Declassified and Obtained under FOIA by Peter Hayes.” Excerpts, Link. [Google Scholar], vol. 1). The commander-in-chief of the US Pacific Command agreed, but recommended that the aging Honest John and Nike Hercules systems be withdrawn as the Lance arrived. The commander of US forces in Korea also agreed on the need for the Lance, but said it would be unacceptable to withdraw the Nike Hercules because of its unique capability to destroy enemy aircraft with nuclear airbursts (US Pacific Command 1977 US Pacific Command. 1977. “Command History 1976, Camp Smith, Hawaii, Volume 1. Partially Declassified and Obtained under FOIA by Peter Hayes.” Excerpts, Link. [Google Scholar], vol. 1). 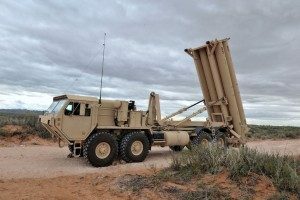 As this debate went on, the Joint Chiefs of Staff were concerned that delays in deploying the Lance to South Korea could delay broader nuclear deployment adjustments in the Pacific. So the Lance warheads were rushed from the United States to Guam. By the end of December 1976, all 54 authorized W70 Lance warheads were in place in their storage bunkers on Guam. The number of US tactical nuclear weapons in South Korea declined from approximately 640 weapons in 1974 to 150 weapons in 1982, a significant reduction for which there are different explanations. 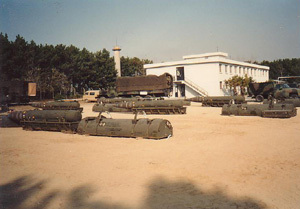 In a history covering this time period, the US Defense Threat Reduction Agency reported that in 1974, the US Pacific Command commander-in-chief identified new tactics for using advanced conventional weapons to defend Korea, enabling his command to reduce dependence on early nuclear escalation in its Korean contingency plans (Defense Threat Reduction Agency 1998 Defense Threat Reduction Agency. 1998. “Defense Special Weapons Agency 1947–1997.”. [Google Scholar], 19). While new conventional weapon tactics were indeed part of the reason for the reduction, the Agency’s history left out the effect of a major security review of nuclear weapon storage sites in the Pacific. The review – which also examined diplomatic agreements for storage in allied countries and overall nuclear weapon requirements in the region – found that security was unsatisfactory, diplomatic arrangements inadequate, and the number of weapons deployed in excess of war-planning requirements (US Pacific Command 1975 US Pacific Command. 1975. “Command History 1974, Camp Smith, Hawaii, Volume 1. Partially Declassified and Obtained under FOIA by Peter Hayes.” Excerpts. Link [Google Scholar], vol. 1, 262–263). As a result, Washington’s fiscal 1977 nuclear weapons deployment plan trimmed the posture in Korea and the region at large, initiating the withdrawal of the Honest John, Nike Hercules, and Sergeant missile systems from South Korea and removing 140 nuclear weapons from the Philippines. In mid-1977, according to the US Pacific Command commander-in-chief, nuclear weapons in South Korea were stored at three sites: Camp Ames, Kunsan Air Base, and Osan Air Base. The nuclear weapons storage site at Osan Air Base was deactivated in late 1977. By the time President Bush announced the Presidential Nuclear Initiative in September 1991, roughly 100 warheads remained in Korea. As a result of the initiative, the US Pacific Command was tasked with developing a plan to remove Artillery Fired Atomic Projectiles, nuclear Tomahawk Land Attack Missiles, nuclear strike bombs, and nuclear depth bombs from the Pacific area at the earliest opportunity, according to a Pacific Command history (US Pacific Command 1992 US Pacific Command. 1992. “Command History 1991.” Camp Smith, Hawaii, Volume 1, p. 91. Partially declassified and obtained under FOIA by Peter Hayes. Excerpts, Link. [Google Scholar], vol. 1, 91). The history also reports that the Nuclear Weapons Deployment Authorization for fiscal 1991 and 1992 (known as National Security Directive 64), signed on November 5, 1991, “cleared the way for the actual return of all land-based Naval air delivered and sea-based tactical nuclear weapons to US territory, the withdrawal of all nuclear weapons from Korea, and other withdrawals in Europe” (US Pacific Command 1992 US Pacific Command. 1992. “Command History 1991.” Camp Smith, Hawaii, Volume 1, p. 91. Partially declassified and obtained under FOIA by Peter Hayes. Excerpts, Link. [Google Scholar], vol. 1, 91). Of the 60 artillery shells and 40 B61 bombs left in Korea, the nuclear artillery shells had “first priority for transportation,” according to the US Pacific Command. As such, the B61 bombs remained in the country a little longer until the artillery shells were gone. But the Chairman of the Joint Chiefs of Staff instructed the commander of US Pacific Command that “the withdrawal of weapons from Korea had highest priority for transportation assets” in the region and that the withdrawal should begin before the next meeting of the South Korea–United States Military Committee and Security Committee on November 20–22, 1991 (US Pacific Command 1992 US Pacific Command. 1992. “Command History 1991.” Camp Smith, Hawaii, Volume 1, p. 91. Partially declassified and obtained under FOIA by Peter Hayes. Excerpts, Link. [Google Scholar], vol. 1, 92). As the nuclear artillery shells began leaving Kunsan Air Base, the Washington Postreported on October 12, 1991, that the United States had decided to leave the B61 bombs behind for the time being (Oberdorfer 1991 Oberdorfer, D. 1991. “Airborne U.S. A-Arms to Stay in South Korea.” Washington Post, October 12, p. A20. This article is no longer fully available on the Internet but is partially displayed here. [Google Scholar]). But this simply reflected the decision to give the artillery shells first transportation priority. And the following week, US government officials told the New York Times that the aircraft bombs would also, in fact, be withdrawn (Rosenbaum 1991 Rosenbaum, D. E. 1991. “U.S. To Pull A-Bombs from South Korea.” New York Times, October 20, p. 3. [Google Scholar]). The officials said the decision to withdraw nuclear weapons from South Korea had been made in part to persuade North Korea to permit international inspection of its nuclear facilities and in part because the US military no longer thought that the nuclear bombs were necessary to defend South Korea. By mid-December, South Korean government officials had told reporters that the United States had completed its planned withdrawal of nuclear weapons from South Korea. Finally, on December 18, 1991, South Korean President Roh Tae Woo publicly declared that “there do not exist any nuclear weapons whatsoever anywhere in the Republic of Korea” (Bulman 1991 Bulman, R. 1991. “No A-Arms in S. Korea, Roh Says.” Washington Post, December 19, p. A38.. [Google Scholar]). When asked about Roh’s declaration, President Bush said that he “heard what Roh said and I’m not about to argue with him” (“Pyongyang Has to Take the Warning Seriously” 1991“Pyongyang Has to Take the Warning Seriously: U.S. Draws up Option for Strike against North Korea.” Los Angeles Times, December 26, 1991.. [Google Scholar]). North Korea’s first response to the withdrawal of tactical nuclear weapons from the peninsula was to declare that it would still be threatened by US long-range nuclear weapons based elsewhere. On November 1, 1991, Reuters reported an article in the official North Korean daily Rodong Sinmun that ridiculed the United States for talking about removing nuclear weapons from South Korea while maintaining its nuclear umbrella over the area. “Under such conditions,” the paper said, “the US nuclear threat to us would not be dispelled, even though nuclear weapons are taken out of South Korea.” On January 30, 1992, however, North Korea signed an agreement with the International Atomic Energy Agency (IAEA) agreeing to inspections of its nuclear facilities (“North Korea OKs Nuclear Inspections” 1992“North Korea OKs Nuclear Inspections.” Washington Times, 31January 1992, p. 1. [Google Scholar] and Wise 1992Wise, M. Z. 1992. “North Korea Signs Agreement for Inspections of Nuclear Sites.” Washington Post, January 31, p. A15. [Google Scholar]). In addition to tactical nuclear forces, US strategic nuclear weapons also played (and continue to play) an important role in defending South Korea. This role has taken several forms over the years. In the late 1970s and early 1980s, for example, the US Navy suddenly began conducting port visits to South Korea with nuclear-powered ballistic missile submarines (SSBNs). It made just a few visits in 1976 and 1978, but the frequency increased significantly with more than a dozen visits in 1979 and 1980. Over the course of five years, there were 35 SSBN visits, all to Chinhae, with some vessels visiting several times each year (see Table 1). All the visits were by older Polaris submarines that only operated in the Pacific; each carried 16 missiles with up to 48 nuclear warheads. See here for details on US SSBN visits to South Korea. The reason for these port visits is still unclear, but the timing coincided with the period when the United States significantly reduced deployment of nonstrategic nuclear weapons in Korea. This period overlapped with the years when the United States discovered and attempted to stop South Korea’s secret program to develop nuclear weapons.44. For an excellent overview of US efforts to stop the South Korean nuclear weapons program, see Burr (2017aBurr, W. 2017a. “Stopping Korea From Going Nuclear, Part I.” National Security Archive Electronic Briefing Book No. 582, March 22.. [Google Scholar]; 2017b Burr, W. 2017b. “Stopping Korea From Going Nuclear, Part II,” National Security Archive Electronic Briefing Book No. 584, April 12.. [Google Scholar]).View all notes (It also so happens that South Korea was going through political turmoil at the time, culminating with the assassination of President Park Chung-hee on October 26, 1979.) It is possible that the SSBN visits were an explicit attempt to reassure Seoul about the US security commitment. The SSBN visits ended when the remaining Polaris submarines were retired in 1981, and even though the US Navy gradually built up its fleet of new Ohio-class submarines in the Pacific, American SSBNs have not visited South Korea since January 1981. Yet Ohio SSBNs continue to play an important role in targeting North Korea. With their much longer-range missiles, Ohio SSBNs can patrol much further from their targets than earlier submarines. A 1999 inspection of the Trident submarine command and control system identified the SSBNs as “mission critical systems” of “particular importance” to US forces in South Korea (Defense Department 1999 Defense Department. 1999. Inspector General, Year 2000 Compliance of the Trident Submarine Command and Control System. Report Number 99-167, May 24, 1999, p. 1. Link. [Google Scholar], 1). Except for a lone SSBN visit to Guam in 1988, though, Ohio-class submarines did not conduct port visits to the Western Pacific for 35 years. That changed on October 31, 2016, when the USS Pennsylvania (SSBN-735) arrived in Guam for a highly publicized visit to promote US security commitments to South Korea and Japan. Military delegations from both countries were brought to Guam and given a tour and briefings onboard the submarine, which was carrying an estimated 90 nuclear warheads. “This specific visit to Guam reflects the United States’ commitment to its allies in the Indo-Asia-Pacific,” the US Strategic Command publicly announced, apparently a signal that the US nuclear umbrella also extends over the Indian Ocean (US Strategic Command 2016 US Strategic Command. 2016. “Public Affairs, “USS Pennsylvania Arrives in Guam for Port Visit.” October 13.. [Google Scholar]). In addition to strategic submarines, the United States also deploys heavy bombers to Guam on extended rotational deployments. These deployments include B-2 and B-52 nuclear-capable bombers that, respectively, can deliver nuclear gravity bombs and air-launched cruise missiles, although nuclear weapons are not brought to Guam with the bombers. Three to six bombers at a time deploy to Guam with hundreds of support personnel from their home bases in the continental United States, for a continuous presence on the island. When one squadron returns, it is immediately replaced by another. These operations have been conducted since 2004. From Guam, the nuclear-capable bombers deploy on long sorties near South Korea and Japan to signal to North Korea and other potential adversaries that they would be used to defend US allies in the region if necessary. Shortly after North Korea’s fourth nuclear test in January 2016, for example, a nuclear-capable B-52 overflew Osan Air Base in northern South Korea near the North Korean border (US Air Force 2016US Air Force. 2016. “ROK/US Alliance Aircraft Conduct Extended Deterrence Mission.” January 10. Link [Google Scholar]). As this history shows, the United States relied on nuclear weapons in its strategy to deter North Korea long before the latter developed nuclear weapons of its own. Several incidents, dating as far back as the Korean War in the 1950s, show nuclear weapons playing a role in the US–North Korea relationship. In one that became known as the “Tree-Trimming Incident” in August 1976, US forces in Korea were placed on alert in response to a fatal skirmish between US and North Korean border guards over American attempts to trim a tree in the demilitarized zone. As part of the alert, the United States deployed nuclear and other forces in operations that signaled preparations for an attack on North Korea. Nuclear-capable B-52 bombers flew north from Guam in the direction of Pyongyang. It is not clear whether North Korean radars could see the bombers, but since North Korean soldiers did not interfere with tree trimming again, some people may have concluded that the US nuclear threat worked (Norris and Kristensen 2006 Norris, R. S., and H. M. Kristensen 2006. “‘U.S. Nuclear Threats: Then and Now,’ NRDC Nuclear Notebook.” Bulletin of the Atomic Scientists, September/October, p. 70. Link. [Google Scholar]). This coincided with North Korea and the United States signing the Agreed Framework in October 1994, temporarily freezing North Korea’s plutonium production capabilities and placing them under IAEA safeguards. North Korean missile tests, which were not part of the agreement, caused significant tension, and intelligence reports that North Korea was working on a secret uranium enrichment program caused the incoming George W. Bush administration to adopt a harsher policy.66. For an overview of the Agreed Framework, see Davenport (2017 Davenport, K. 2017. “The U.S.-North Korean Agreed Framework at a Glance.” Arms Control Association, Fact Sheet (Accessed August 2017).. [Google Scholar]).View all notes Eventually the Agreed Framework collapsed, and in 2001 (the review was completed in December 2001 but not officially published until January 2002), the Bush administration’s Nuclear Posture Review identified a North Korean attack on South Korea as an “immediate contingency” for which the United States had to be prepared to use nuclear weapons. Among the so-called “rogue states,” the review said, “North Korea and Iraq in particular have been chronic military concerns” (Defense Department 2002 Defense Department. 2002. “Office of the Secretary of Defense.” Nuclear Posture Review Report, January 8, 2002, p. 16. Link. [Google Scholar], 16). In 2004, as a clear signal to North Korea and other adversaries in the region, the US Air Force began rotational deployments of strategic bombers to Guam. After North Korea conducted its first two nuclear tests in 2006 and 2009, the Obama administration’s Nuclear Posture Review in 2010 sought to “revert” the nuclear ambitions of North Korea. This review did not explicitly mention a role for nuclear weapons in deterring North Korea, but described “a small number of [tactical] nuclear weapons stored in the United States, available for global deployment in support of extended deterrence to allies and partners” (Defense Department 2010 Defense Department. 2010. “Office of the Secretary of Defense.” Nuclear Posture Review Report, April, pp. 27–28. [Google Scholar], 27–28). The 2010 Review did not mention the possibility of forward deploying nuclear weapons to South Korea. So it came as a surprise that Gary Samore, then the White House coordinator for arms control and weapons of mass destruction, said the United States would redeploy nuclear weapons to South Korea if the South Korean government asked it to, according to a 2011 South Korean news report (Ser Myo-Ja 2011 Ser Myo-Ja 2011. “U.S. Arms Control Chief Backs Nuke Redeployment.” Korea Joongang Daily, March 1.. [Google Scholar]). The White House quickly corrected the record, with a spokesperson explaining in the Financial Times that “tactical nuclear weapons are unnecessary for the defense of South Korea and we have no plan or intention to return them” to the country (Dombey 2011 Dombey, D. 2011. “US Rules Out Nuclear Redeployment in S Korea.” Financial Times, March 1.. [Google Scholar]). The conclusion that “tactical nuclear weapons are unnecessary for the defense of South Korea” is as valid today as it was in 2011, despite North Korea’s continued nuclear tests and missile development. Even so, some commentators in the United States and South Korea have advocated either redeploying US tactical nuclear weapons to South Korea or modifying dual-capable aircraft operations to signal or prepare for such a decision. In Washington, some former officials involved in the Trump administration’s Nuclear Posture Review have recommended that it consider whether the United States should “strengthen deterrence and assurance in the Asia-Pacific region (in consultation with Japan and South Korea) by 1) demonstrat[ing] the capability to deploy [dual-capable aircraft] to bases in South Korea and Japan, 2) equip[ing] aircraft carriers with nuclear capability (via the F-35C), and 3) bring[ing] back TLAM-N [sea-launched cruise missiles] on attack submarines” (Harvey 2017 Harvey, J. R. 2017. “Nuclear Modernization: Six Months Under Trump – How Are We Doing.” Presentation to the AFA-Peter Huessy Breakfast Seminar Series, Capitol Hill Club, Washington, D.C., June 13, p. 6. Link. [Google Scholar]). In Seoul, calls for redeployment of US tactical nuclear weapons have become more vocal in the past few years. A poll conducted in August 2017 by a South Korean cable news channel found that 68 percent of South Koreans support redeploying US tactical nuclear weapons to South Korea (Lee 2017 Lee, M. Y. H. 2017. “More than Ever: South Koreans Want Their Own Nuclear Weapons.” Washington Post, September 13.. [Google Scholar]). At the US–South Korean defense ministerial meeting in August 2017, a senior South Korean government official told reporters that Defense Minister Song Young-moo mentioned the “tactical nuclear deployment issue” (Him Jun 2017). A report in the Washington Post said Song later told lawmakers he had told US Defense Secretary James Mattis that “some South Korean lawmakers and media are strongly pushing for tactical nuclear weapons” to be redeployed to South Korea and that “redeployment of tactical nuclear weapons is an alternative worth a full review” (Fifield 2017 Fifield, A. 2017. “South Korea’s Defense Minister Suggests Return of Tactical U.S. Nuclear Weapons.” Washington Post, September 4.. [Google Scholar]). Song later denied he had actually requested redeployment of the weapons (“Allies Seek to Deploy Aircraft Carrier” 2017 “Allies Seek to Deploy Aircraft Carrier, Strategic Bomber in Response to N.K. Nuke Test.” Yonhap News Agency, September 4, 2017, Link. [Google Scholar]), and Foreign Minister Kang Hyung-wha explicitly stated that Seoul is not currently considering redeployment of US nuclear weapons (Minegishi 2017 Minegishi, H. 2017. “South Korea Leaves Door Open to US Nuclear Weapons.” Nikkei Asian Review, September 12. [Google Scholar]). 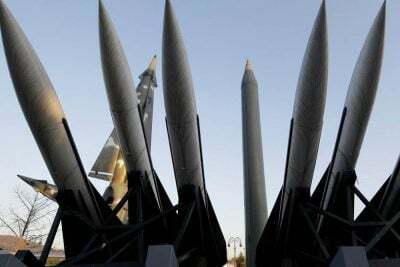 A decision to redeploy US tactical nuclear weapons to South Korea would provide no resolution of the crisis over North Korea’s nuclear weapons, but rather would further increase nuclearization of the Korean Peninsula. It would not make South Korea any safer and would likely increase nuclear risks. Redeployment would also have serious implications for broader regional security issues because it would likely be seen by China and Russia as increasing the nuclear threat against them. Several Chinese nuclear weapons sites would be within range, as would Beijing, which is less than 1000 kilometers (590 miles) from Kunsan Air Base. The Russian Pacific Fleet headquarters and several Russian nuclear weapons facilities are at similar distances. The introduction of tactical nuclear weapons into the region would likely be seen as an attempt to provide the United States with a regional nuclear strike option below the strategic level. This could influence Chinese and Russian deployments and strategies in ways that would undermine both South Korean and Japanese security. There are those who have even called for Seoul to acquire its own nuclear weapons, and roughly 60 percent of the South Korean public apparently supports this idea (Lee 2017 Lee, M. Y. H. 2017. “More than Ever: South Koreans Want Their Own Nuclear Weapons.” Washington Post, September 13.. [Google Scholar]; Minegishi 2017 Minegishi, H. 2017. “South Korea Leaves Door Open to US Nuclear Weapons.” Nikkei Asian Review, September 12. [Google Scholar]). Doing so would not improve South Korean security – on the contrary. Such a move would, however, constitute a major break with long-held policy, violate South Korea’s international obligations, and potentially even trigger sanctions. Supporters of a South Korean nuclear weapon argue that the North’s development of an intercontinental ballistic missile (ICBM) might make the United States less willing to defend – or even deterred from defending – South Korea. This “decoupling” argument has been made in numerous debates in other US allies throughout the nuclear era: Would Washington really risk sacrificing Los Angeles to defend Tokyo, or New York to defend Berlin? But a few North Korean ICBMs are unlikely to deter the United States any more than dozens of Chinese ones or hundreds of Russian ones. The United States is not just defending South Korea as a kind gesture, but because it has important and enduring economic and security interests in the region. A better question is whether concern about the consequences of a North Korean nuclear attack on South Korea (or Japan) could make Washington reluctant to put nuclear pressure on Pyongyang in certain situations. The North Korean nuclear threat has not made the United States unwilling to defend South Korea but has already caused it to increase reliance on advanced conventional weapons to provide better extended deterrence options without having to cross the nuclear threshold. Advanced conventional deterrence has its own challenges and would not replace the nuclear option, but is a far more credible defense against Pyongyang than redeploying tactical nuclear weapons to South Korea. Conventional forces should reassure South Korea to the extent that anything can. Hans M. Kristensen is the director of the Nuclear Information Project with the Federation of American Scientists in Washington, DC. His work focuses on researching and writing about the status of nuclear weapons and the policies that direct them. Kristensen is a co-author of the world nuclear forces overview in the SIPRI Yearbook (Oxford University Press) and a frequent adviser to the news media on nuclear weapons policy and operations. Inquiries should be directed to FAS, 1725 DeSales St. NW, Sixth Floor, Washington, DC, 20036 USA; +1 (202) 546-3300. Robert S. Norris is a senior fellow with the Federation of American Scientists in Washington, DC. His principal areas of expertise include writing and research on all aspects of the nuclear weapons programs of the United States, Soviet Union/Russia, Britain, France, and China, as well as India, Pakistan, and Israel. He is the author of Racing for the Bomb: General Leslie R. Groves, the Manhattan Project’s Indispensable Man (2002). He has co-authored the Nuclear Notebook column since May 1987.